Perhaps one of the best things about Bali, Indonesia, and likely all of Indonesia is the food; it’s plentiful, it’s cheap, it’s spicy, full of flavour, and you’re always served a massive plate. Like most Asian food, dishes in Indonesia are typically mixed with either rice “nasi” or noodles “mie”, and the selection is a variety of items with these two bases. If you’re on a tight budget it’s easy to eat for about $1 – $1.50, as long as you’re okay sticking to the Indonesian menu and forgoing a nice smooth Bintang! 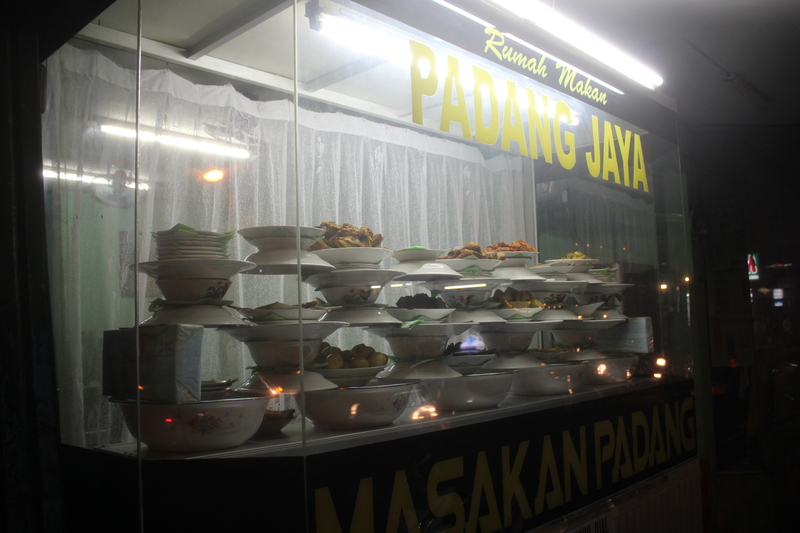 The key throughout most of Bali is to look for any restaurant that has all their plates on display in the window. The food is generally cooked about twice daily, and you simple walk inside, and pick and choose exactly what you want on your plate, and you have your meal instantly. The selection usually consists of fried tofu, fried cornbread, potato, chicken, assorted veggies, pork, and fish, and all covered in delicious sauces. If you haven’t quite developed your taste for spice, you certainly will here, as every single sauce and dish in local places is loaded with spices and chillies. As for my pick, if you happen to find yourself in Seminyak (5 minutes outside of Kuta Beach), right on the corner of Jalan Raya Basangkasa & Jalan Camlung Tanduk you’ll find Pagang Jaya. 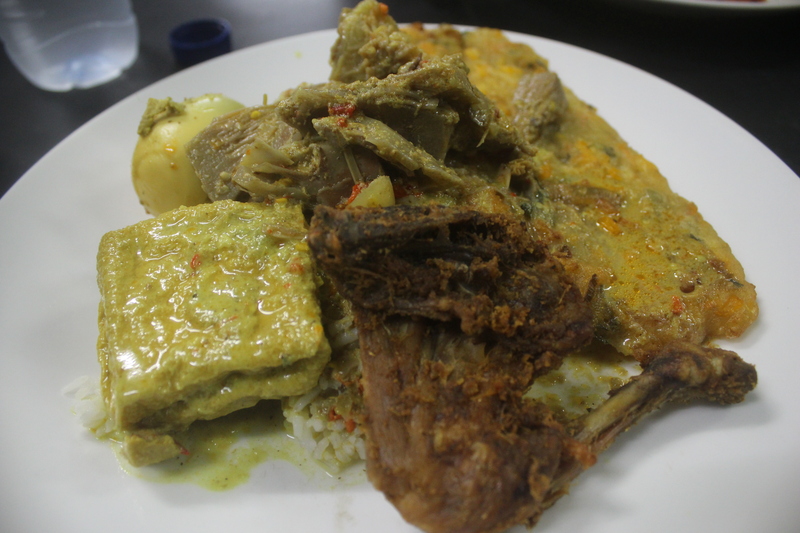 This local joint boasts a steady trail of happy customers and massive portions. Nestled right on the corner of two very busy streets, ask any local around where to get a cheap eat and you’ll be pointed to this spot. I personally opt for a nice mix of tofu, corn, some chicken, mixed greens, all covered in some Gado-Gado (essentially warm peanut butter) and other sauces mixed with things I’ll never be able to discern the taste for.